This entry was posted in Picture Books and tagged Erin Murphy Literary Agency, picture book, Tricia Lawrence. Bookmark the permalink. Thanks, Laura. I did get a contract!!! Just last week. I’m so excited! Thanks for stopping by! Oh what a post! Hey put me in the line of people loving fall. I live near a high school and I can’t wait until I hear the band and their late eveing practices. Since I was a little girl high school band practice, the smell of leaves burning (rural living, ya know), and country fairs signal fall. On to the good stuff…Huge! Huge congrats to you, Penny. I can’t wait to have your books to share with my classroom clan. It tickles them so when I tell them that I know a particular author personally. You’re such a talent. It was just a matter of time. Yaay, Penny! How fun to have high school band practice as one of your signs of fall! I love that! Our fair starts today! Thanks for stopping by, and thanks for sharing in my excitement about fall and writing! Just as fall is filled with anticipation, so am I at the promise of seeing your books on my shelf – soon! I met Tricia at the NJ SCBWI conference this year, and she certainly seems like a keeper. Congrats on the getting a great “teacher” this year! She is definitely a keeper!!! Thanks Lauri! YAY for getting an agent! WOO! I think you could use the school buses and smiling faces and school supplies for a picture book! I think you’re right Erik! Kids would certainly relate to all those things! Penny , you are too young to have taught for 26 years 🙂 Such exciting news! I am thrilled (though not surprised) that you have an agent representing you! It truly is an exciting time for you. I can’t wait to read your upcoming books! Congratulations! Now that is very sweet, Iza…but not only did I teach for 26 years, I took six years off during that time and have been retired for five. If we ever get the chance to meet in person…you’ll see my wrinkles! Thanks for the congratulations and I do hope to have books out there in print! Fantastic news Penny. You really do have an excellent agent. I’ve heard her speak and was impressed. I wish you much success! I like the fall, but spring is my favorite time of the year. Spring is a wonderful season, too, Pat. I guess I really love them all. Growing up in Colorado made me a “seasons” person. Thanks for your well wishes! This is a wonderful post of such joy, I can’t help but be excited for and with you, Penny. Congrats on your agent and all the best for what lies ahead. Enjoy the fall, while I begin to enjoy the spring! I’m excited for you – no matter the season! If it were not in the 90’s here, I might be crossing my leaf piles for you too! Happy for this new fall for you. I remain excited about all your news so far and the news yet to come. Good luck. Thanks, Stacy! Wish I were able to attend the Rocky Mountain SCBWI conference this year. It would be great to see all of you again! Hi Penny! I so relate to the year starting in Sept. too, not just the start of the school year, but here in Florida, the slight change in weather to not as much humidity, and cooler nights – nights when you can open the windows and sleep with real air instead of air conditioning! I’m excited for your ‘new year’. All the best, my friend! Yes! I love that slight change in weather, too, B.J. Love it especially when a cool, crispness is in the air! Thanks for coming by! Oh Penny that is lovely! I am so excited for this new season of yours. Happy fall indeed. Thanks, Catherine! Happy fall to you! I’m sure fall is beautiful in your part of the world! YES! Me, too. Fall is my new year and full of color and potential…. I love all the excitement and hope bubbling in this post and am excited with you for what this next ‘grade’ will bring for you! Thanks, Joanna! Happy pumpkins and newly sharpened pencils to you! I’m so excited for you, Penny! Fall always feels like the proper “New Year” to me, as well. And it is so wonderful to feel along with you the possibilities of this “new grade” you’ve passed in to. Congratulations on your agent (and congratulations to your agent as well!) Here’s to a new school year and a new writing year full of exciting surprises! Thanks, Beth! A new year full of exciting surprises sounds great. As writers that can happen in so many ways. I know PiBoIdMo will bring excitement and new ideas. Finishing another year of 12 x 12 will be exciting! And…Perfect Picture Book Friday is starting up again! I appreciate all the inspiration that is to be had here in our exciting community! What an exceptional group of people! Congratulations on finding a wonderful agent. And best of luck with your books! Thanks for the well wishes. I appreciate you stopping by! Thanks, Renee! 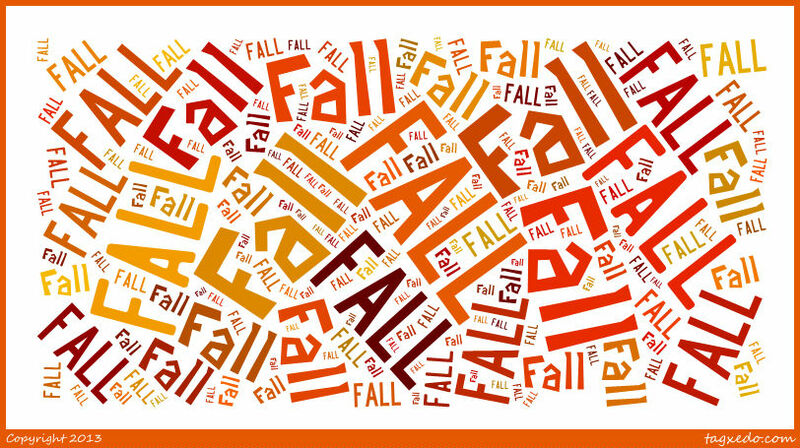 It’s fun hearing that others feel the same way about fall…the excitement and anticipation! Fall seems to have given me a new energy with my writing which can sometimes feel stale! Thanks for dropping in! Penny–what a lovely post. Congratulations on finding an agent and the approaching season. Thanks, Liz. I appreciate you stopping and sharing in my happy fall!